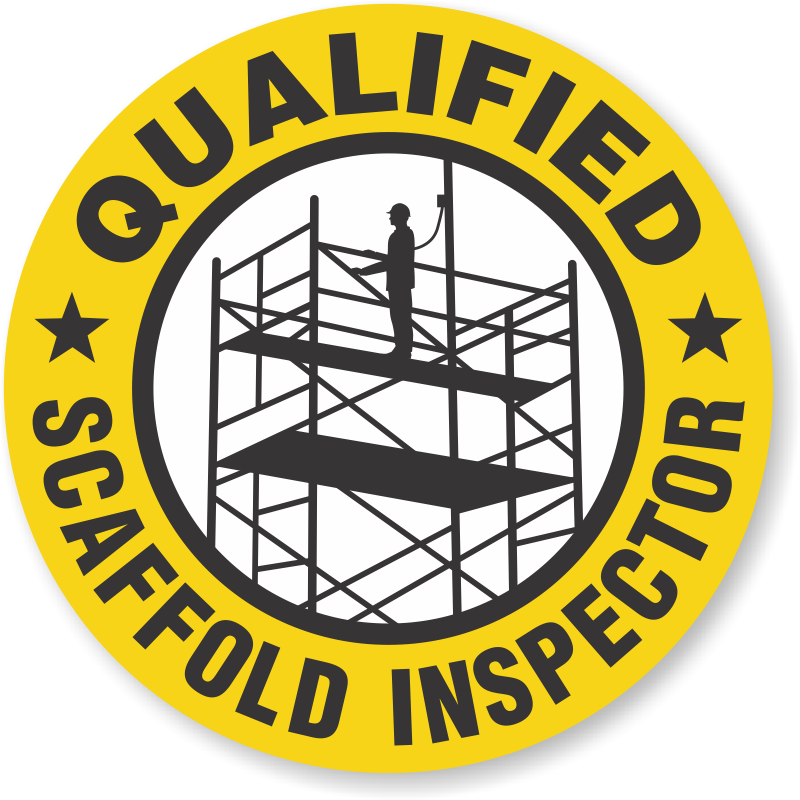 Using Scaffold Trained Hard Hat Stickers workers trained, quailfied, and certified to work on your scaffolding are clearly identified ensuring a safe environment for everyone. • With our reflective option available, there is no question that your stickers will be seen at night or in dimly lit environments. • Find both stock and easy-to-customize templates for your scaffold program. It’s easy to add your company name to a custom template. A personalized sticker that identifies qualified and trained operators make it easier to keep the project safe. Reflective stickers too. Customize these stickers to your specific positions, dates, and company information. • Only authorized workers can use scaffolding. • OSHA signs warn of Scaffold dangers. 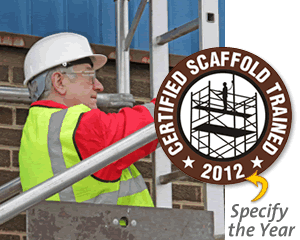 • Durable tags show scaffold inspections. • Color-coded tags quickly identify scaffold status.